Afghanistan has joined the World Trade Organisation (WTO) calling it “historic” membership to boost the war-torn nation’s economy and build peace. 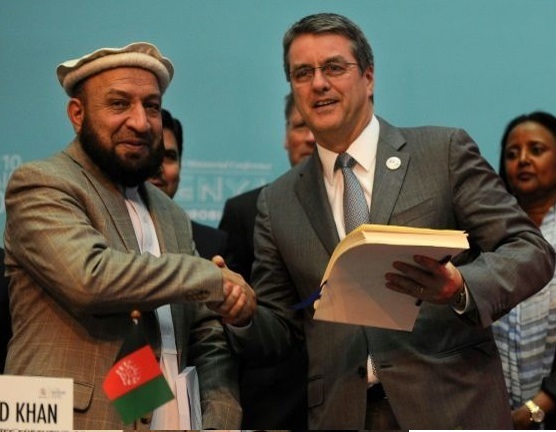 The WTO has formally approved Afghanistan’s membership at its 10th ministerial conference in the Kenyan capital Nairobi. Afghanistan’s membership came after formal approval by the WTO ministers in the Kenyan capital Nairobi. 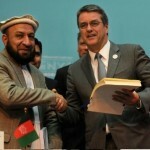 WTO Director General Roberto Azevedo said he was “delighted” to welcome Afghanistan.